Travel to Bedford county for the best of the covered bridges midst the colorful leaves of autumn. You will begin your tour with one of the largest and well-known bridges, the Claycomb Covered Bridge. Stop an the National Museum of the American Coverlet. The American coverlet was woven on a loom by both men and women in geometrical patterns of various colors. Enjoy learning about this historic industry. Your tour continues with historic sites such as the Espy House (George Washington's headquarters during the Whiskey Rebellion), a historic courthouse (oldest operational in PA) and the Omni Bedford Springs Hotel. Visit the 1806 Old Log Church. 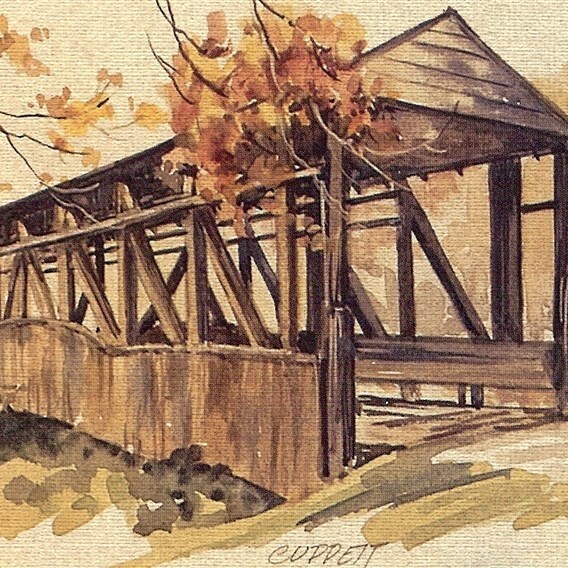 Continue on to see the Cuppett Covered Bridge, the Ryot, Dr. Knisley Bridge, and the Snook Covered Bridge. Finally, stop at the Fisher Country Store, where you will find a variety of baked goods, bulk food items, and local produce. Includes: Transportation, lunch, step-on guide, admissions, meal and guide gratuities, and taxes.